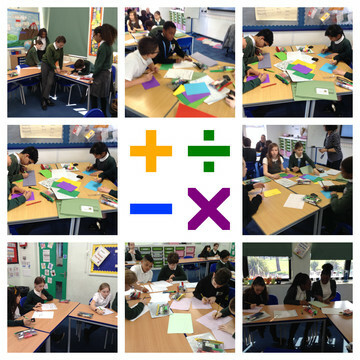 Year six have spent the morning preparing for this afternoon's arithmetic showcase. We look forward to seeing you this afternoon from 2pm. Mrs Neale's maths group will be showcasing in 6 Poplar. Mrs Taylor's maths group will be showcasing in the hall. Mrs Reynolds's maths group will be showcasing in 6 Pine.